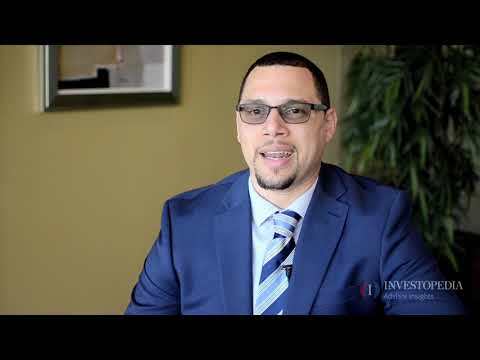 Luis Rosa has been in the financial services industry since he graduated college in 2001. In addition to obtaining his securities registrations Series 6, 7, 63, and 66, Luis is also a CERTIFIED FINANCIAL PLANNER™ professional and is enrolled to practice before the IRS. This diverse industry knowledge allows him to best serve his clients by understanding how one financial decision affects the other, allowing him to better guide them toward achieving their goals. Luis has been quoted in articles published in Investopedia, NBC News, Business Insider, The Daily News, and other online publications. He's also one of the few Spanish speaking CERTIFIED FINANCIAL PLANNER™ professionals in the country. Although he lives in the Las Vegas area, he works with clients all across the country using video conferencing and screen sharing. When not helping a client, volunteering, or hosting an event, you can find Luis eating at one of his favorite vegetarian/vegan restaurants in Los Angeles or Las Vegas. Luis has a passion for creating client success stories and his goal is to create long term, meaningful client relationships. He has an ongoing desire for educational growth and is a member of the Financial Planning Association. Investment Advisor Representative of Retirement Wealth Advisors Inc. (RWA), 89 Ionia NW, Suite 600, Grand Rapids, MI 49503 (800) 903-2562. Investment Advisory Services are offered through RWA. Build a Better Financial Future and RWA are not affiliated. Although it might be tempting to buy a new car once yours is paid off, there are several financially savvy things you can do with the monthly savings. Will a recent personal loan impact my credit score immediately? Hi, glad to see that you're making an effort toward paying down your credit card balances. The recent inquiries plus getting a new loan to consolidate your debt could potentially negatively impact your score. However, I doubt it'll be enough to hurt you when it comes to renting your new place. Before you get the new loan, however, I recommend that you take a look at two debt repayment strategies. It could turn out that using the same money that you are sending to your debt now or the same money that you would have spent on the new loan, might be enough to help you get out of debt sooner. The two methods are the snow ball method (where you pay the smallest balance first) and the avalanche method (where you pay the highest interest rate first). Take a look at the following two calculators and enter your current balances, minimum payments, and interest rates. Avalanche: https://www.nerdwallet.com/blog/finance/what-is-a-debt-avalanche/ and Snowball: https://www.nerdwallet.com/blog/finance/what-is-a-debt-snowball/ Once you run these two calculators, compare that with the new debt consolidation loan that you were considering to see which one ends sooner and which one you pay less interest on. If a person thinks they are a victim of fraud from a broker or company, who should be contacted? How should I invest my money as an international student? Congratulations on finishing your internship and also having $10,000 in savings! If this is your total savings I would not recommend that you invest the money. It is typically recommended that you have at least 3 to 6 months of expenses in emergency savings before you start investing. I would recommend that you put the money in a high interest savings account. You can use websites like bankrate.com (https://www.bankrate.com/banking/savings/rates/) to compare the different interest rates that banks are offering for savings accounts and CDs. Should I take a large loan with a higher interest rate and pay off all of my debt, or take a smaller loan with a lower rate and pay off my debt partially? It all comes down to running the numbers. I recommend you use a free debt analyzer tool such as https://powerpay.org/. You can compare your current strategy versus the large loan with the higher rate or the smaller loan with the lower rate. You'll be able to see how long it'll take to get out of debt from each scenario in order to make the best decision. If get a loan from my 401(k), do I have to include it on my tax return when filing my taxes? The short answer is no. However, if you leave your job and don't pay the loan back the amount owed will become a taxable distribution. Also, keep in mind that you pay back the loan with after tax dollars so you are paying taxes twice; Once when you pay the loan back and then the second time when you make a withdrawal from the 401K since that will also be taxed as ordinary income at the time.